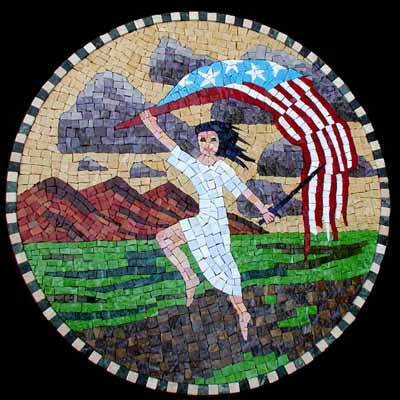 “liberty” mosaic art. smalti with honed marble border on hardwood. 23 in diameter.